In a world of ever recycled trends, Tiefschwarz (deep black) is that most classic of shades. Its timeless style is testament to its staying power, and with a DJ and production career spanning over 14 years, this German deep house duo have proven just how apt a moniker can be. 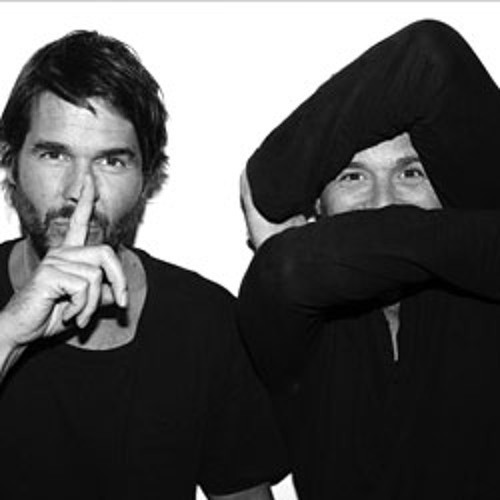 Born and bred in Stuttgart, brothers Ali and Basti Schwarz’s passion for techno and deep house flourished their initial experience as DJs in the early 90’s at the now legendary clubs that Ali ran in their home town, ON –U and Red Dog. This led to the formation of Tiefschwarz in 1997, from which they found rapid success with their debut single ‘Music’ (on Francois K’s Wave Music label) and album Ral 9005. By 2001, this had been licensed to the London label Classic Recordings from where they springboarded to international recognition. They decided to make the move to Berlin, at the time fast becoming the epicentre of a true electronic music renaissance, from where they pursued a hectic touring schedule and remixing the likes of Cassius, The Rapture, Missy Elliott, Kelis and their personal heroes Masters At Work. They then scored a double whammy with their all-conquering crossover hit remix of Spektrum’s ‘Kinda New’ and the single ‘Isst’ off their 2005 long-player, ‘Eat Books’. This was also the year that electrohouse dominated the charts and minimal the clubs, but Tiefschwarz have never allowed themselves to be tied down to a certain sound, staying true to their love of melody as demonstrated on their contribution to the Fabric mix series that year. A series of high profile mixes in 2006, including Depeche Mode, Madonna, Roxy Music, Booka Shade, Phonique, Plastikman, dOP, and many others saw them continue perfecting their distinctive sound. Yet this was also the year in which Ali and Basti gravitated back to Berlin to found their own label, Souvenir. Basti explains “We like the idea of seeing music as a souvenir, an impression you take from somewhere. Something intimate that you remember”. They haven’t let this slow down their impressive production workload though, with a ten year anniversary compilation and a 2010 follow up album ‘Chocolate’ made in collaboration with Santé, and featuring Cassy, Seth Troxler, Dave Aju amongst others. At a perfect time to take stock of their career, the brothers are proudly contributing the ninth installment in the Watergate mix series, and have chosen a number of tracks that simultaneously pay homage to the tracks that shaped the beginnings of their career whilst also remaining very much forward looking. After years of constant touring, however, their Souvenir label has allowed them to lay down more permanent roots back in Berlin. It’s a place to foster talent, both young and old, not only in a sense of releasing records but also as a platform to share mutual experiences within a common network, a close core of artists work together including Ruede Hagelstein, Maher Daniel, the brothers Santé and Re.You, Ali &amp; Basti at the helm. With plenty more artists on the roster as well as a digital only subsidiary, Souvenir Plus, and a debut LP from Hagelstein on the horizon, there is promise of plenty yet to come for the Schwarz brothers’ imprint.